Browse: Home / 2015 / July / Is Skymark set to be a Delta brand? Is Skymark set to be a Delta brand? Reports of Delta’s desire to own a piece of the bankrupt Japanese carrier Skymark are intriguing for a variety of reasons. Among them, Is a stake of less than 20% sufficient to be able to effect a turnaround and what is the viability of the smaller Japanese airline in general. But there’s another potential bit of marketing at play: Does Delta want to rebrand Skymark as part of its own, larger corporate identity?? Is the star on tail of Skymark planes set to be replaced by the Delta widget?? The proposed investment would see Skymark’s largest creditor, Intrepid Aviation, forgive a $250mm payout demand. The aircraft lessor hopes that this move will encourage Airbus and Rolls Royce, the other two major creditors, to approve the plan. Delta would gain access to a partner with a small but important portfolio of landing slots at Tokyo’s Haneda airport and, potentially, the opportunity to rebrand the Skymark operation. Or maybe not. The Delta MEC Chairman may, at his option, approve the use by a carrier engaged in international partner flying of a trade name, brand, logo, trademarks, service marks, aircraft livery or aircraft paint scheme currently or in the future utilized by the Company or any Company affiliate. It is unlikely that such approval would be granted without a reasonable givebacks to the pilots beyond what the contract allows for and there’s also the part where the contract was rejected by a wide margin, though it is hard to say how much of that was tied to this clause. But it did open up the possibility of a Delta-branded operation with a hub at Haneda. The small number of slots held by Skymark would present a limited feed to Delta’s long-haul operation at Haneda. And that service took a hit recently when, after months of legal wrangling, the carrier chose to fold on the Seattle-Haneda route. A little bit of feed would certainly help, but it is unclear that it represents a significant boost to the remaining Haneda-Los Angeles operation. It is worth noting that Delta and Skymark already have a partnership, albeit a very, very minimal one. Delta SkyMiles members holding Medallion status or a co-branded credit card and with the SkyMiles account domiciled in Japan are eligible to redeem points for award travel on Skymark flights. It is a spectacularly limited partnership. But it does exist. The alternative bailout offer, from ANA, would see a similar ownership stake taken but also likely a folding of the Skymark brand into ANA’s Vanilla Air LCC arm. It would also boost the ANA Haneda slot portfolio even higher than its current stake holding more than 50% of the slots. A decision on the bailout investment is expected from the creditors in early August. A decision on any rebranding from Delta would be contingent on winning the bid, getting the pilot contract approved and satisfying the Delta MEC Chairman to approve such. That would be quite the trifecta of events, but it just might happen. 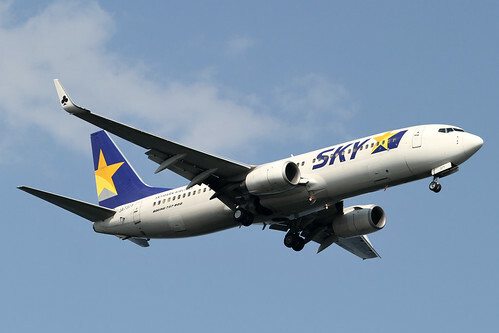 When I lived in Japan I loved Skymark. They were the best LCC, almost the Southwest of Japan. I really, really hate Delta, but if they can save Skymark and keep it mostly intact then go for it. I hope JAL or ANA don’t get it as they already have so much market share Skymark is good at keeping the market prices lower.